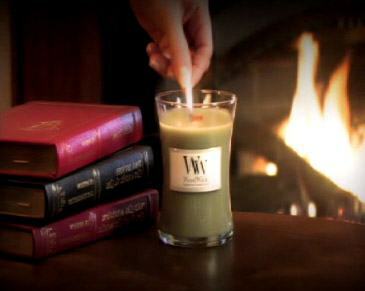 This candle from Woodwick is quite beautiful, a perfect addition to your home for the Christmas season. There are crisp and complex notes of pomegranate with trickles of cassis and soft florals which further combine with rich undertones of rum and musk. The result is a staggeringly meditative mix, taking you away with the sweet scents of autumn and winter comfort. This candle uses a wick made from organic wood which burns with the sound of a crackling fire, creating a sense of total relaxation. All WoodWick candles feature cross-shaped wooden wicks, which fill your room with fragrance five times quicker than the average cotton wick and provide a cleaner burn that doesn't leave any messy residue on the sides of the candle jar. 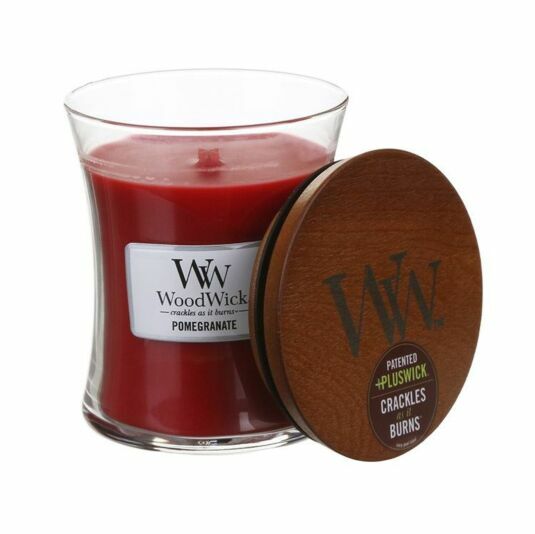 This candle has a total burning time of up to 100 hours, and its thick wooden lid is designed to be used as a base when the candle is in use. This would make a great gift at Christmas time to fill your home with the festive scents we all love. For best results it is recommended to burn the candle for 3-4 hours per use, and trim the wick to 1/8" before each use by gently breaking off burned edges.